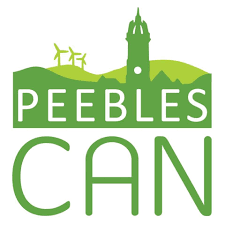 Peebles CAN provide learning opportunities for local people within their community garden and community food market, in in local primary schools and through our 'Skill Share' project. We offer volunteering, workshops and mentoring sessions to educate people how to grow their own food and lead healthier lifestyles. We are committed to tackling social isolation and providing positive learning experience in an inclusive manor for the whole community. We will continue to up skill all staff and volunteers with digital training and resources to improve their digital learning. We will continue to deliver skill share that focus on digital skills for people in the community. We will apply for funding to increase the number of sessions we can run and reach more socially isolated people who could use digital skills to feel more connected with the world. We work a cross section of the community many of who would benefit from more digital experiences.